Creative, inventive and imaginative describe the bakers behind the masterpieces they create. Buttercream never looked or tasted better! 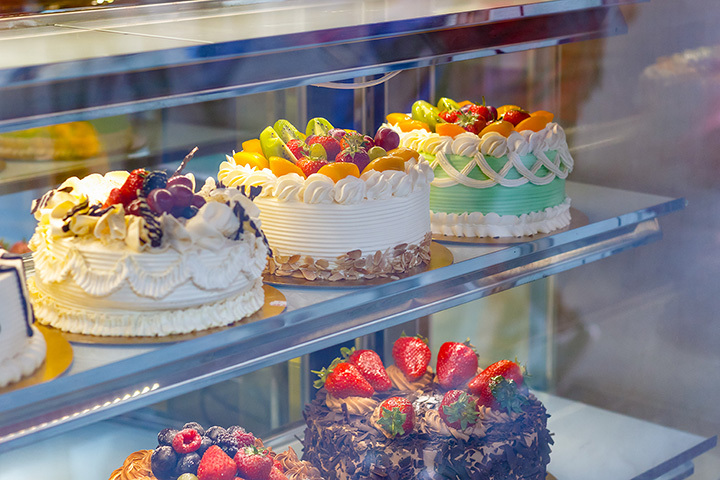 When it comes to making something special for your celebration or event, check out these 10 cake shops in New Mexico for the best of the best! With more than 100 flavors of cakes, you are assured of getting a unique taste sensational cake. And, if you don’t see a flavor you like … hard to imagine … they’ll create one for you. Shoot for the sun and the moon and the stars and order the milky way cake, a galaxy of deliciousness. Put a smile on anyone’s face with a special occasion cake that will be the highlight of any celebration. You could eat a different flavor of cupcake here every week. That’s the promise. Bakers channel that same creativity into the design and decorations of their custom-made cakes, truly edible cake art. From wedding cakes to groom’s cakes to cake shapes right out of your imagination, they can customize with looks and tastes. Vegan, gluten free and sugar alternative options on the menu. Get your order in early here because the bakers only create a limited number of cakes each week so that each is fresh-baked and crafted with care. This is an artisan bakery where each cake is baked fresh, from scratch and designed to meet your creative vision. Two or three-dimensional wedding and specialty cakes are made-to-order for any special occasion, or just because. There’s pie in the name, but don’t be fooled, they also know how to put the frosting on a cake. There’s an innovative menu of specialty cakes with inventive flavor combinations that blend pineapple and toasted coconut or dark chocolate and Oreo cookies and even chai with honey buttercream. Wedding and custom cakes available, vegan choices, too. One-of-a-kind confections for any special event are the piece de resistance at this bakery. Celebrate any special event from a wedding to a Sweet 16 party to an anniversary with a death by chocolate extravagance. The force is strong here…choose the stars wars cake. Magic happens with a Harry Potter cake. Ask about wedding planning services too. Pedro is the artistic visionary behind his namesake bakery, a little blue building right off I25. Famous for the “best” cinnamon bread in town, he’s also known for delicious, made-fresh daily cakes like pineapple upside down and tres leche. Give him and idea and you can have the cake you want, so be sure to eat it too! Sheet cakes, round cakes, square cakes, two and three-dimensional cakes … the possibilities are endless at this family-owned bakery that’s been making sweet treats for more than 30 years. Everything is made fresh daily and the cakes are made-to-order so there’s no stale layers. Do you have a favorite photo you’d like on your cake? Bring it here and it’ll get scanned right on top of the buttercream! This bakery is the luscious back of house to the Happy Place, a yarn shop; not the kind you spin, the type you knit with. The baker, a mom who translated her love of making sweet things into a full-time passion, professes to love a challenge. Ask for the moon … literally! All cakes are made from-scratch with all natural and fresh ingredients. Pumpkin gingerbread, red velvet and almond butter are local favorites. A Jocelyn cake is a work of art. Her one-of-a-kind style honed after baking for three decades makes these cakes the highlight of any celebration. Cake flavors and fillings vary and specialty icings include cream cheese antique white and ivory buttercream. She’ll top any cake with fondant roses, apple blossoms, daisies, mums, animal prints, flames and even the stars and stripes. Choose a traditional or modern style and let her help you make a statement with your special occasion cake. This sweet shop makes celebrating every holiday and special occasion in life with a cake easy. Even on whim or the spur of the moment, the family owners will make you the cake of your dreams. Choose a beautiful pink-flowered wedding cake or a tribute to batman birthday cake or a ukulele for a Hawaiian luau and all imaginative creations in between for a delicious addition to your next celebration. View more New Mexico Bakeries and Pastry Shops.